UXBRIDGE, ON – Second Wedge Brewing has announced that a popular autumn seasonal brand will be returing soon. Named for the funky roof on Uxbridge’s historic train station, this black IPA blends deliciously dark malts with the bright, bold dry-hop flavor and aroma of Centennial hops. Roasted barley adds a nutty, coffee-like complexity and a fluffy tan head. Drinking Witch’s Hat is like taking that darker path into the woods, just for the thrill of it. 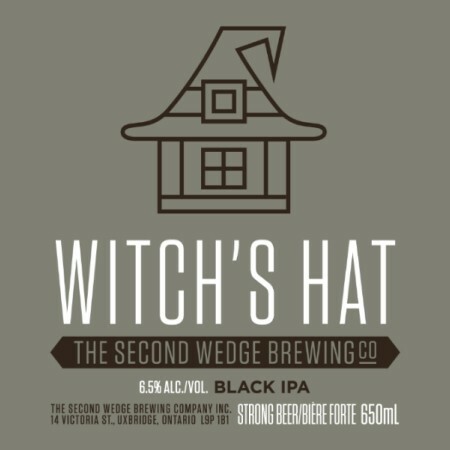 Witch’s Hat will be available starting next week at the Second Wedge taproom and retail store.